Our Service Motto is: Service generates Value. Be Friends with Greenman, Be Free of Worries. Through full scale coordination and cooperation of all staff at various post, every single Greenman customer enjoys to their fullest extent satisfactory service in three phases of pre, mid and after sales. 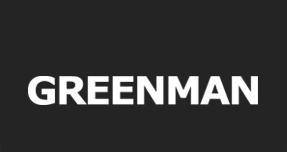 Greenman attaches paramount importance to skills training of all staff, especially those at front line of sales and service. The training center of the company organizes a wide variety of training sessions, more than a thousand per capita counts of trainings are provided to Greenman staff trainees each year. Years of skill building and long time of field practices enrich Greenman with a team of top quality service crew, the foundation of high quality “Greenman Service”. > Pre-Sales Service is far beyond product presentation through brochures and quotations. Its more important role is to become customer’s consultants. Product info will need to flow to the customers with precision and accuracy, knowledge and lessons of previous customers will need to be dispensed for all customers, and customer’s specific needs will have to be pinpointed to get the right performance price effective products. Greenman Group at different time intervals holds product briefings for customers and dealers on industry updates and new products release. > Mid-sales Service regulates our practices in the process of delivery, test run, operation safety and demo, to make sure that customers do get the right products and operation steps. All sales staff are required to demonstrate key points of operation, maintenance tips, and safety cautions to customers for ease of use, cautions of use, and reduced cost of operation and maintenance. > After-sales Service refers to general technological instructions, repairs, supply of service parts, technical training and operation check for customers, which requires a professional team of highly trained, responsive and effective service crews. Greenman Group is proud to have fully trained, professional and all capable service staff that master highly skillful repair knowledge through long time practices. Greenman Group established records and follow up procedures on every customer, every unit sold to customers which allow service provided to each unit for its life cycle. Greenman Group invested immensely in keeping long time sufficient parts supply to ensure enhanced productivity and life span of equipment in use, which frees customers of any after sales worries.